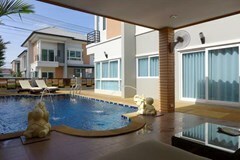 Studio apartment for sale on Pratumnak - for this price?? Google and FB have got there at last! 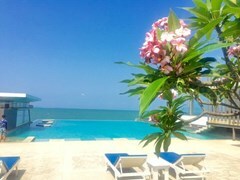 Land for sale on Koh Chang - BEACHFRONT! It is not often that Koh Chang beachfront land comes on the market! The most expensive house in Thailand? 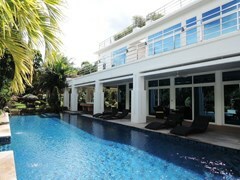 Next week we will list for sale a house in Pattaya at USD 5,800,000 - yes just over 200M THB ! 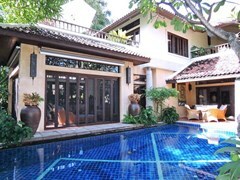 If buying or selling property in Pattaya you need to enjoy the experience! We are finally getting there ... after lots of due diligence we have found a Hotel Broker to work with! 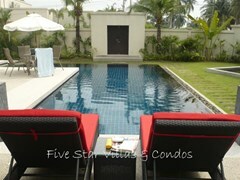 Step out of your condo straight into the communal swimming pool! 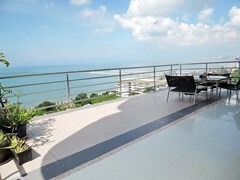 2-bedroom DUPLEX PENTHOUSE for sale - the highest residential floors in Pattaya! Do you need your swimming pool cleaning and maintained? 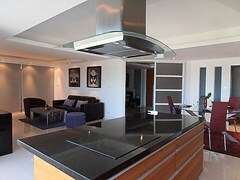 Do you need small repairs to your home, decoration, complete renovation or just initial advice? With lots of hard work and due dilligence we are getting there!